Jared Unzipped: New Methods Of Marketing Pumpkin Spice To Women. Let's face it -- chicks love pumpkin spice. With Autumn right around the corner, women everywhere are crying out for the perennial Fall favorite. From the local coffee shop to donut shack and every retailer in between, pumpkin spice is a virtual gold mine in the lead up to the holiday season. This got me to thinking... other than air fresheners and candles, what other products could be blessed with the flavorful goodness of pumpkin spice? Pumpkin Spice Shampoo: Imagine lathering up your hair with some inviting orange shampoo. Instead of the typical bland stuff that smells like rain or tsunamis or some crap, what if your shampoo left you smelling like a Starbucks in October? Pumpkin Spice Pizza: I know you're probably saying yuck, but listen to me. What if Pizza Hut or some other major pizza retailer developed a pumpkin spice dessert pizza? The crust could be made of the same dough used for cinnamon buns. Layer a pumpkin spice creme with caramel and bits of cinnamon. Top it off with warm streusel. Oh man... that's making me hungry! Pumpkin Spice Toothpaste: Brushing your teeth never tasted so wonderful! Pumpkin Spice Christmas Trees: This would be pretty easy to pull off. Many faux Christmas Trees these days come with pre-installed lights. Using that same technology, scent-releasing oil warmers could be built into the branches and release the alluring aroma of pumpkin spice. Oooooh, but I'm not done yet. Want your real Christmas Tree to smell just as lovely? 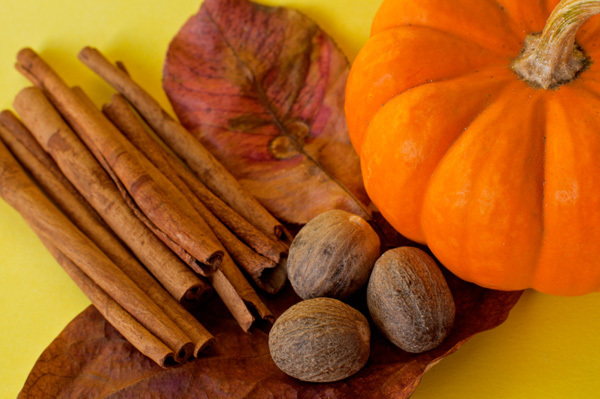 Use a special pumpkin spice mixture in the water you pour into the base of your tree. The tree will absorb the scented water and release it into the air. Genius! Pumpkin Spice Tampons: This one is pretty much self explanatory. Moving on. Pumpkin Spice Fabric Softener: Screw Fresh Cotton and Lavender Loft... let's get your laundry a scent upgrade! Pumpkin Spice Sugar Wafers: We all grew up with the regular chocolate and vanilla flavored wafers. Kick things up a notch with an explosion of sweet pumpkin spice creme. BAM! Pumpkin Spice Fireball Whisky: When it comes to drinking alcohol, college girls love them some Fireball. Really want to move some bottles off the liquor store shelves? Create a pumpkin spice variant of Fireball that the frisky co-eds will absolutely LOVE! Imagine the excitement that will ensue with a bottle of Pumpkin Spice Fireball and a group of your favorite sorority girls! Tell me what you think. Do you have any ideas for pumpkin spice?